When, just when, will the International Hockey Federation (FIH) stop peddling false information to the world at large! The official tournament programme of the ongoing men's World Cup in Bhubaneswar is an illustration of the callous and distasteful level of indifference toward the game's history. 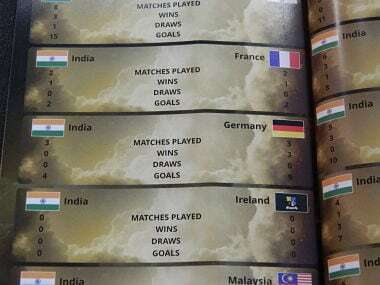 India's wins against Germany in the previous editions are not reflected in statistics published in the official programme of the 2018 World Cup. For a moment, forget what the FIH and its affiliated national associations across the world have done over the years in trashing the game's history, the World Cup would still seem to be an elite event whose records remain sacrosanct. Err ... sorry, think again. And, please think yet again if you consider the FIH and its affiliated units as custodians of hockey's legacy. Even in disseminating the records of the elite World Cup tournament of the past — just 13 tournaments since the inaugural edition in 1971 — they seem to prefer fiction to fact. "Don't tell me they want to pass them off as official records, these guys should be fiction writers," screamed a former Indian player who had featured in four early World Cups and even won a gold medal in 1975. Drawing the attention of The Hockey Insider to the disinformation being passed around with FIH "Stats" as the label, the ex-Indian striker was aghast after a simple glance at India's head-to-head World Cup records. "They've simply scratched out the victories we carved out," said the former Indian striker who noticed something amiss when two games where he had played a role in the Indian victories over Germany did not figure in the FIH statistics published by the Official Programme of the 2018 World Cup titled "Stars Become Legends" and carrying images of Indian players Manpreet Singh and PR Sreejesh on the cover. The startling missing facts that prompted the ex-Indian World Cup to call Firstpost would stare any Indian hockey follower in the face. India had an unbeaten record against Germany, who played as West Germany until the 1990 edition, in the initial three World Cups: two victories and a draw. India won 1-0 in Barcelona in 1971; drew 0-0 against the then Olympic champions at Amsterdam in 1973 and outplayed them 3-1 in 1975 at Kuala Lumpur. The India-Germany encounters at Kuala Lumpur were the stuff that linger on in the memory of sports fans. India were leading 1-0 in their preliminary group encounter when rain disrupted the match. Given the practice in the rain-affected 1975 World Cup – where a match was even shifted to another ground at half-time – this game was supposed to resume from that stage. But the FIH decided to replay the encounter afresh, brushing aside India's protests. In the replayed match, which India needed to win to advance to the semifinals, the Ajitpal Singh-led Indian team turned the form book upside down yet again to defeat the Olympic champions 3-1. The 1978 edition in Buenos Aires saw the Germans hammer India 7-0 with the two nations playing out a 2-2 draw in London 1986. Imagine, these matches are not part of the statistics that show just three India-Germany matches with all three confirmed as German victories. History is often misinterpreted by people wanting to twist it to their liking, but here is a case of sheer callousness. It is not as if the FIH is an organisation incapable of actually dishing out the correct information. But, it seems, callousness about the game's history has assumed such drastic dimensions in the FIH that they do not care about momentous events even the other day. Thousands of matches are missing from the FIH data, simply because it seems the federation could not be bothered to look up the records or conduct research. The FIH wants the hockey fraternity to forget memorable matches and just have a tunnel vision that looks just at the elite events. Those propounding great theories about legacy may one day find time between their coffee breaks to look up the game's history. History, most often, is not confined to elite events. But then, the World Cup is one of hockey's few elite competitions and here too a star player of yesteryears had to scream to draw attention to the callous mistakes. Just scratch your memories for international matches you have seen or read about. The chances are they will not be there in the FIH's "glorious" collection of records. Over the past two years, it has been highlighted by the hockey fraternity of South Asia that a majority of encounters that are part of the game's epic rivalry between India and Pakistan are missing from the FIH records. The FIH, however, does not seem to have the time and inclination to even look into the mess it has created by recognising some matches and derecognising the others. A few years ago, the FIH actually tried to give some semblance of sanity to the historical data that they circulate to the world. Since then, the media and the FIH television partners are fed historical data that, politely said, is a joke. And this data is being circulated along with the television pictures. It seems the hockey mandarins are very busy trying to sell misinformation.